A “ghost post” this week from the late country-living writer, A. Carman Clark, whose columns appeared for years in the Camden Herald. This one is from December 17th, 1992, but it is still timely as we enter the season of magic. Tracks in the snow show that a deer came down from the pine ridge, stood in the field watching my house and then went back into the woods. An eagle soars and glides above the ice-covered pond. Is he also watching my house? When they were small, my children used to ask, “What’s that deer thinking?” Or the rabbits, turtles, toads–even fresh-water clams. Tales were told and enlarged and repeated. I wish I’d written them down. In every story, creatures were given voices, and then deer or crows asked what those children were doing. And why. We created our own Aesop-type of fable, Sennebec Hill morality tales, lessons in words. At Christmas, elves joined the wild creatures. They peered in the windows at night as well as sitting the trees to watch during the day. 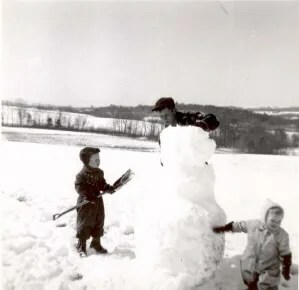 When I look back now and think of all the tales that were told of being watched, it’s a wonder the kids didn’t grow up with some kind of life-limited, Sennebec Hill paranoia. Using one’s imagination widens the world. The habit of twisting situations and dogmatic messages fosters humor and the ability to recognize and combat those destructive “one right way” messages about voting, or thinking, or worshiping. Look at those poor little birds out in the winter cold. Yes, but–notice that those feathered creatures live uncluttered lives. No taxes. No closets to clean. No possessions to protect. No ties to the family they raised last summer. Last week’s eclipse of the moon was spectacular. But what did the Druids in ancient Britain think and feel when they watched the moon being devoured by darkness? What did the Druid leaders tell their people when such an eclipse occurred? What tales did they tell people already frightened by shorter days and longer, colder nights? A grandchild once asked me how I’d feel if all the stones on my beach turned into jelly beans. I thought of that this week as I circled through a parking lot looking for one open space. Suppose all this cars suddenly turned into cats? Suppose all the cats ran away, but the stuff in the glove compartments of each vehicle stayed there on the pavement? Such imagined happenings eased my frustrations. Last week, my older daughter called to tell me that one of her murder mysteries has been accepted by a publisher. A story she imagined and wrote will be printed and sold and read. And, we hope, readers will want more written by the same author. A major dividend from a cultivated imagination. The author Stanley Crawford wrote that holding onto, valuing, and using our imaginations may be our most powerful faculty in our struggle to live and grow in spirit–to dare to become all it’s possible for each of us to become. 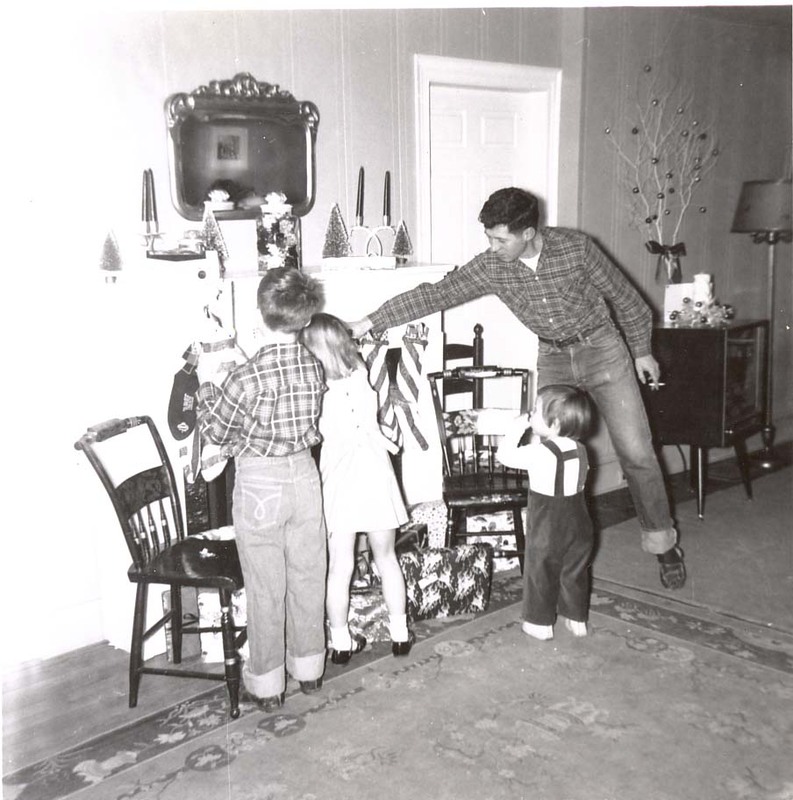 At Christmastime, children help us renew dreams and imaginings. Their shifts from logic to magic are a gift to all the adults who have neglected the practice of “What if . . .?” Have set aside believing in the elves that peek in at the corners of lighted windows. Can I rekindle the spark of storytelling and tell my grandchildren what the deer that stood in my east field was thinking as he watched my house? How my hill looked to that eagle high above the pond? Can I add imagination to facts and tell them tales to remember about all the invisible life beneath the snow–one part of the continuity of foreverness they’ve heard in a Christmas story about another hillside, that first Christmas in Bethlehem? 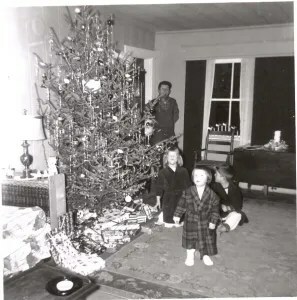 This entry was posted in Guest Blog and tagged A.Carman Clark, Christmas, Imagination, Sennebec Hill. Bookmark the permalink. great story – and well worth repeating in this age when not enough questions are asked….Thanks for the posting! How wonderful to grow up in a family where imagination was encouraged! John and Kate … life isn’t simple … but your mother was clearly very special. Beautiful. And stimulating imagination not only then but also now, not just in children but in all of us. lucky you, with such a wonderful mother!